Carmel Highlands is located approximately 3.5 miles south of Carmel and is situated along side the winding Pacific Coast highway. Big Sur is 17 miles south of Carmel Highlands and Pebble Beach is 17 miles north. The zip code is 93923, and the area code is 831 for the community. Twenty five minutes from Carmel Highlands is the Monterey Peninsula Airport, which has direct flights from San Francisco, Los Angeles Denver, Phoenix and Las Vegas. Two private jet airports service the area they are the Monterey Jet Center, and the Del Monte Aviationwhich is located in Monterey. Carmel Highlands is a small exclusive community that hugs the Pacific coast line and showcases ocean front estates with dramatic views. The fortunate few local residences enjoy a peaceful ambiance without the tourist hustle and bustle of Carmel-by-the-Sea. Estates and lots are often larger scale and afford a private setting. Carmel Highlands real estate offers the perfect combination of seclusion and convenience, it is easily accessible to both the natural wonders of Big Sur, Point Lobos and the amenities of the Monterey Peninsula. Carmel Highlands was tentatively mapped in 1916 by developers Frank Powers and Franklin Devendorf. Over the years Carmel Highlands has attracted celebrities who have purchased vacation homes wanting to escape from a fast pace lifestyle. Renowned photographer Edward Weston moved to Carmel in 1929 and shot the first of numerous nature photographs, many set at Point Lobos. Legendary photographer Ansel Adams moved to Carmel Highlands in 1962, he resided here for 18 years. In his Carmel Highlands studio basement that he built, he printed and published the majority of his life’s work which he is renowned worldwide. 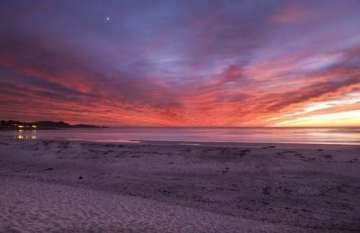 Carmel Highland real estate can be described as some of the most picturesque and exquisite land on earth to own. Dramatic ocean front homes are situated along winding steep roads dipping at the edge of the mighty blue Pacific Ocean. Exclusive ocean front estates are pricey and are a rare commodity desired by many, but afforded by few. Ocean front real estate expert Nicole Truszkowski will help you find your own private setting in Carmel Highlands sure to exceed all of your expectations. Carmel Highland’s popular destinations for locals and tourist include the Highlands Inn with its famous Pacific’s Edge Restaurantlocated at the Highlands Inn. Pacific’s Edge is known as one of the Top 100 Restaurants in the United States by Zagat and one of the Top Ten Restaurants with a View by USA Today. A luxurious romantic getaway can be enjoyed at the Tickle Pink Inn, a Carmel Highlands oceanfront hotel dramatically situated above the rocky coastline that stands at the gateway to world-famous Big Sur. Guests enjoy being pampered with every luxurious amenity one could wish for, it’s no surprise many famous guests come back year after year to the Tickle Pink Inn. Heard all you need to hear to consider living in Carmel Highland then explore the five sub-divisions that Carmel Highlands offers, click the links below for a detailed neighborhood description and specific Carmel Highland Ca homes search links. Your search to find your new Carmel Highlands home could never be easier.